Sony’s top-of-the-line A1 screen sports some eye-popping new technology, writes PAT PILCHER. Way back in 2008, Sony caused a stir when they launched the world’s first OLED TV. It was branded with the rather catchy (not) XEL-1 model number. It was gorgeous. Used to the washed-out contrast of LCD TVs, tech journos were stunned. Its picture was amazing. Being a piece of Sony gear, its design also impressed. There was a minor drawback. It’s screen. It was 11 inches. 2) No matter what your girlfriend says, size does matter. Sony have used the nine years well, too. They’ve added several tonnes of polish to the A1, which has a sub-woofer built into its stand, and a screen that’s also a speaker. They have also included some impressive image processing hardware. 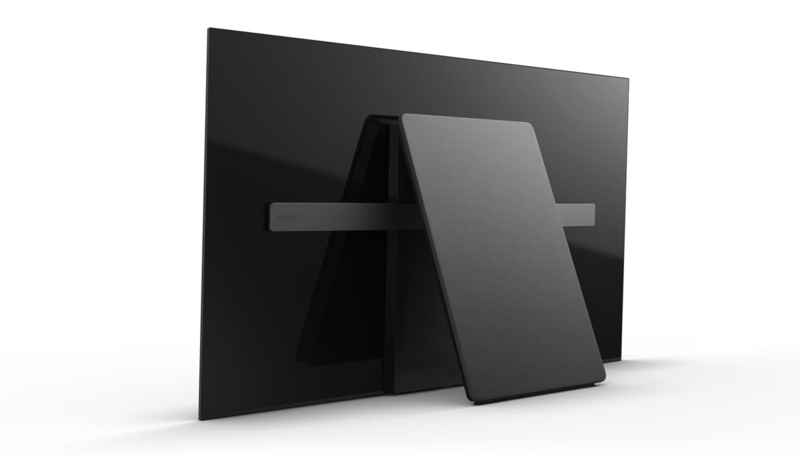 Sony’s vitamin TV goodness comes with a serving of Android TV. This gives it smarties most other TVs will be hard placed to match. Having spent the better part of a fortnight with the 65-inch A1 OLED TV, it’s impossible not to be impressed. 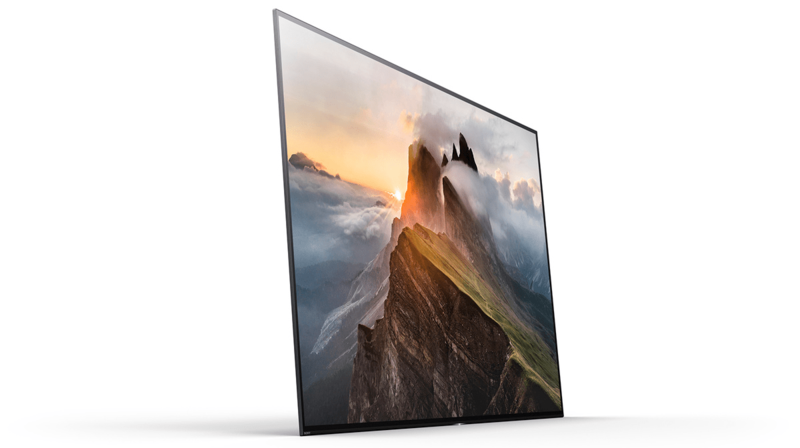 instead of acres of plastic to make a design statement, Sony chose to let the A1’s picture do the talking. This translates into a minimal design that consists of simple Bezels and stands. It works well. Because of this, the A1 has a near invisible black frame edging its screen. There’s no sign of any speakers, a stand or anything else aside from its stunning OLED HDR 4K capable screen. Speaking of screens, the A1’s OLED display doesn’t need backlighting. It doesn’t need filters or any of the other stuff that’s vital to LCD. This means that the A1’s display is about as thin as a smartphone. This, and other clever design tricks, sees the A1 packing some serious wow factor. The hidden speaker arrangement comes courtesy of an easel-like leg. It unlocks to pull out from the back of the screen. This gives the A1 an almost imperceptible 3-degree tilt. The leg also packs a sub-woofer which helps remedy a growing problem for TV makers: Ultra-slim TVs have nowhere to put speakers capable of delivering bass and mids. Unlike a lot of thin TVs, the A1 belts out solid bass. Also, when I said Sony lets the screen do the talking, I wasn’t kidding. The A1’s screen is also its speaker. The tech is as simple as it is clever. ‘Exciters’ sit behind the screen and vibrate it. This means it behaves like a large flat speaker driver. Sony have worked some clever audio processing magic. The A1 delivers a definite stereo image. The upshot of the sub-in-the-leg and the screen speaker combo means that the A1 is all screen, but delivers solid audio. There’s the usual round-up of connections you’d find on the rear of most TVs, plus some that are on the base of the A1’s leg. There are 4x HDMI, 3x USB, an RS-232 port (for home automation systems), and a gigabit Ethernet port (which if you want to stream UHD content is a must) and built-in Wi-Fi plus optical audio. There’s also satellite and terrestrial RF inputs, a headphone jack, an audio line out and subwoofer out. 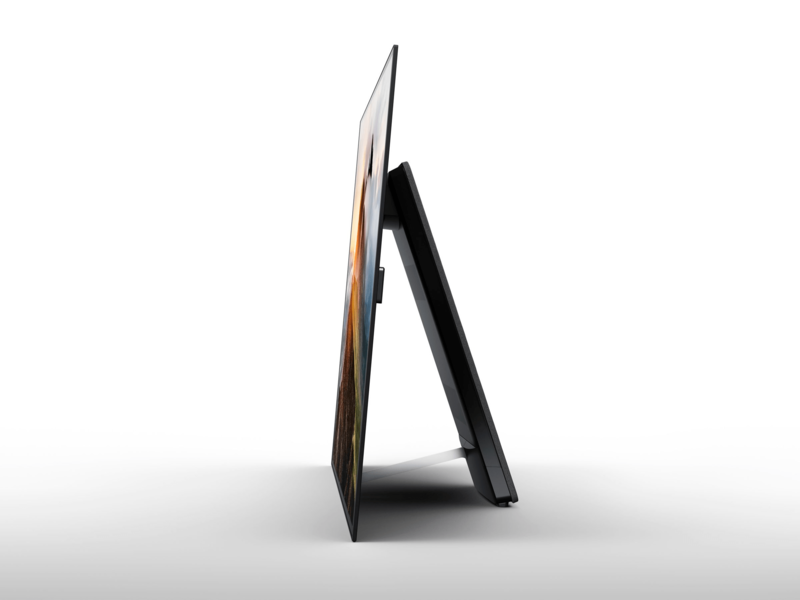 The A1 comes in 65-inch and 55-inch flavours and has a built-in Freeview HD tuner. It also supports HDR10, and Dolby Vision. Viewing HDR-encoded content from streaming services or UHD Blu-ray discs won’t be a problem. 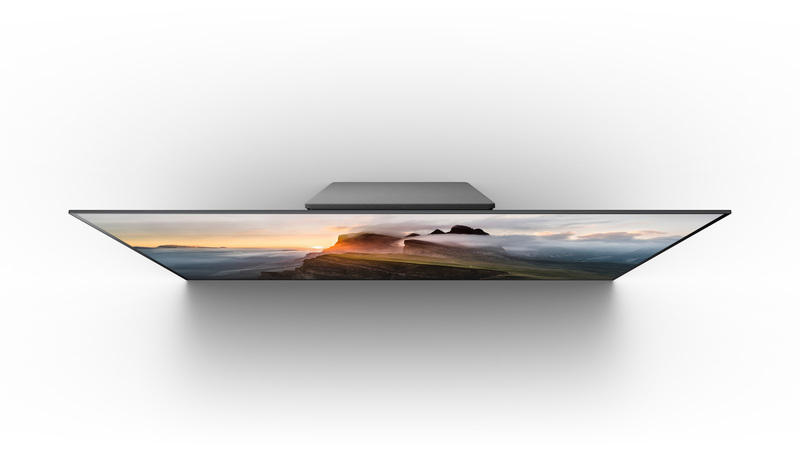 A1 isn’t just another smart TV with a gorgeous screen. It has another ace up its TV-sleeve equivalent. This takes the form of Android TV. The big news is that Android TV gives the A1 a massive selection of apps, games and services that other smart TVs can’t hope to match. There’s support for all major streaming services too. YouTube, Netflix and Amazon Prime Video plus Lightbox/Neon/Quickflix are also supported. Casting content is seamless too. Chromecast is pre-baked into the A1. I was also able to install the KODI media player straight onto the A1 from the Android Play Store. Several games (Asphalt, for example) also played well too. This means console clutter needn’t be a problem for casual gamers. Apps and content aside, viewing content on the A1 is a peeper-pleasing experience. OLED offers super vivid colours, with tanning clinic brightness levels and ultra-deep contrast. Combined, this makes everything look super sharp and crisp. 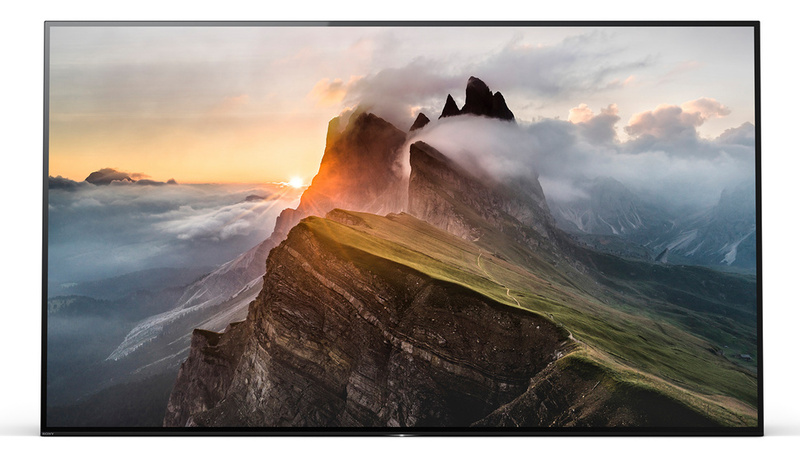 When it comes to UHD HDR content, the results are eye popping. Watching the A1 is like looking out of a particularly clean window. Much of this comes down to Sony’s image processing chops. This is also evident when it comes to upscaling HD to UHD. The difference between UHD and HD content is almost imperceptible. The upscaling system used by Sony is ingenious. Two systems operate in parallel: One focuses on detail, while the other removes pixel noise. It isn’t only about generating more pixels: Sony’s Triluminos colour processing system adds tonal subtleties to extra upscaled pixels. When combined with the super smooth motion of OLED, visual magic happens. OLED displays tend to favour dark colours and images. Watching Desperate Remedies (which got shot on Fuji film stock to give everything a surreal saturated colour), was a real eye opener. On- screen images were super vivid and felt more real than real, even though the footage was in non-HDR SD. The A1 is hard to beat when it comes to rendering Ultra HD Blu-ray and streamed UHD content. HDR content looks gorgeous. The contrast levels possible with OLED and HDR combine to pull an amazing amount of detail out of dark on-screen regions. The A1 is ideal for sports fans. This is thanks to the motion capabilities of OLED and Sony’s Motionflow processing system. Judder or that blurred soap opera-type effect is all but unnoticeable. Fast moving objects (such as an All Black heading towards the Springbok’s in-goal area) look great. There is no discernible hit on picture quality. 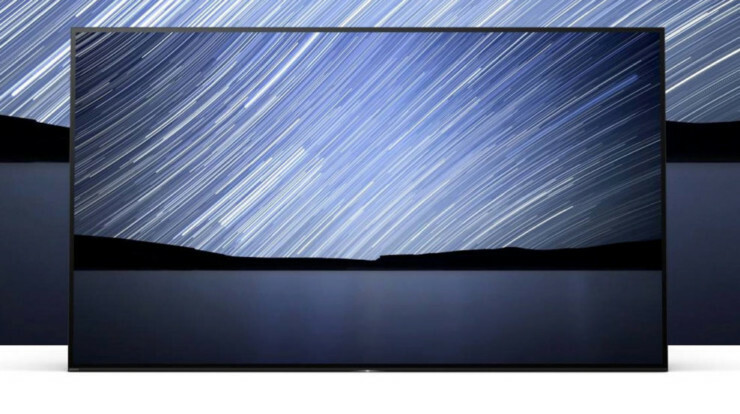 Sony’s A1 OLED TV raises the bar in every way imaginable. Onscreen video playback is only rivalled by Panasonic and LG. Design-wise, the A1 is unmatched. The screen-only design allows the viewer to focus on what matters – video. It isn’t lacking sonically, either. This coupled with access to the Android ecosystem for a massive supply of apps makes the A1 the TV to beat.